All purpose craft, designed for your every need exept landing on other bodies in Kerbin’s sphere of influence! This is evn partly reusable craft. This is the version of the craft which has a paqyload fairing. 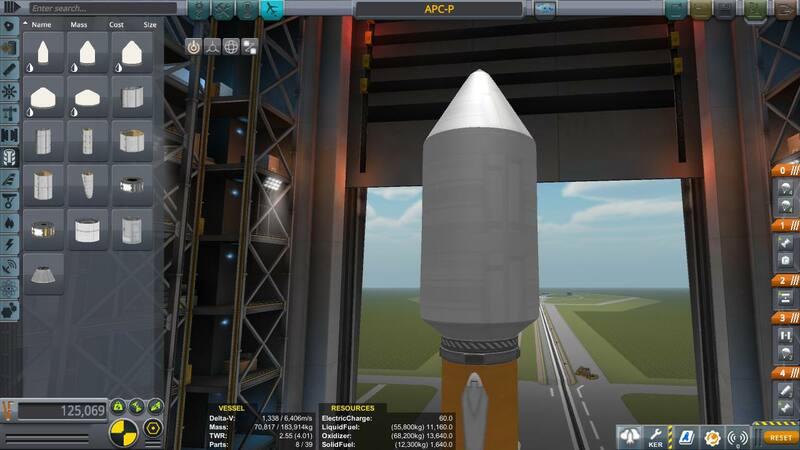 A stock rocket called APC-P. Built with 39 of the finest parts, its root part is probeStackLarge.